Archery is one of those exciting sports that has many different disciplines to it that can be enjoyed on several different levels. One of these is the medieval archery. This is far different from the archery that most are familiar with like the one which is performed at the Olympics. In today’s modern world, there are many who are incorporating it into their routine by participating in archery, and they are utilising some of the equipment that duplicates that which was used in archery during the medieval times. To do this, they will go about roving archery. This means they are going to roam the outdoors in a great setting where they will shoot at random targets. An ideal location for this is Nidderdale which is one of the North Yorkshire Dales. 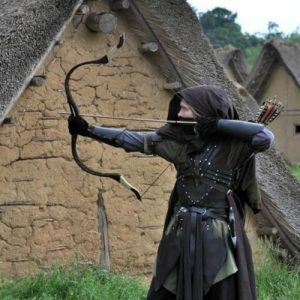 A group of archery enthusiasts will gather and as they roam the area, they will call out random targets to be shot at. This could be a tree in the distance or a clump of grass. What adds to the excitement of not knowing what the next target will be is that the archers will use longbows. This adds to the aura of what one may have used for archery in medieval times. Archers who enjoy this form of archery have adopted a strong appreciation for the medieval archers. The longbows are much heavier and require a whole new level of expertise to be able to handle them successfully and hit the marks intended. When the heavy bow is combined with a heavy arrow, the medieval experience in modern day times is almost complete. Some will say that target archers don’t put as much emphasis on the look of the arrows that those who enjoy medieval archery do. Target archers are focused on hitting the target to garner their points. For medieval archers, it is all about executing the release of the arrow and the style in which it takes on in flight.